A style you'll simply adore. 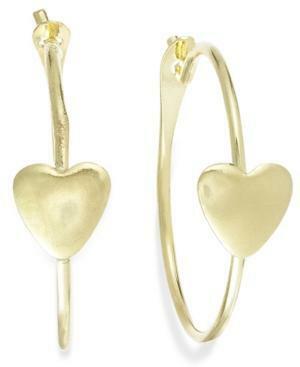 Petite hoops get a loving touch with the addition of puffed hearts. Set in 14k gold. Approximate diameter: 3/8 inch.